I do not know why recently free VPN services came out faster than before, I remember usually we can not find any free VPN service after search whole year. It is good news for people who want keep their privacy online, and it is also best way to help people who live in a country which censor internet. Well, let me talk about main subject now. HideIpVPN offers VPN service, it has two service plans: Free and Premium user. 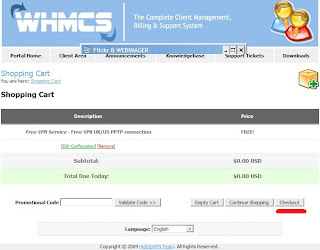 I have not try premium VPN so I do not know what difference between Free and Premium user. 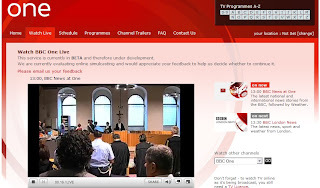 But I did try free one, I use UK server to watch BBC One live show. It works fine. How to get this free VPN account? 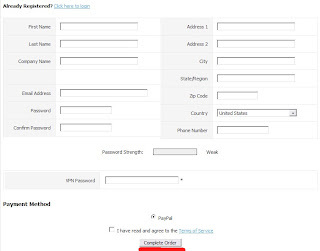 You have to do a few steps, go to this page to register your account. Click "Order" button. It takes you another page. Click "Update Cart" button. It takes you another page. You can see $0.00 USD on sheet. Click "Checkout" button. Fill your information into a form. After that, click "Complete Order" button and finish it. It will send an email with server information, you can use it to setup VPN connection. It has two way: PPTP protocol and OpenVPN. 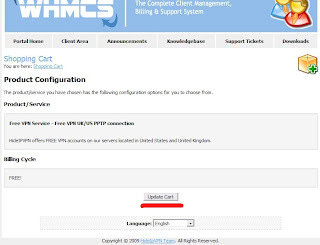 If you already have OpenVPN client you can only download a configuration file (need sign in your account). 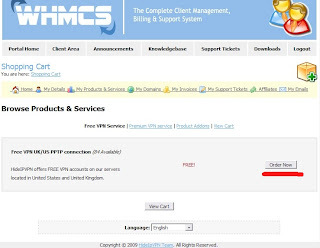 You can check out this page if you do not know how to setup VPN connection. This free VPN service only open 100 users a week, if it is full you have to wait another week.